So many good sources, so little time! Here a just a few places you might find smart, interesting, funny or otherwise relevant insight on politics and international politics. A comprehensive list would be overwhelming – these will get you started. Suggestions welcome! Ann Ferren Conference 2016, “Online Learning: What Students Want” panel. Foreign Policy.com – almost everything here, especially Marc Lynch blogs and Democracy Lab. Rory Stewart, Prince of the Marshes (2006), on Charlie Rose Show, on Afghanistan and Iraq. Yergin and Stanislaw, Commanding Heights: The Battle for the World Economy (PBS, 2002). This video series is perhaps the single best supplement to a wide range of my courses. Andrew Ross Sorkin discusses Too Big to Fail (Penguin, updated 2010). TRIP Survey – 2012 – Teaching, Research and International Policy (TRIP) Project – College of William & Mary. PDF page 51 (scholars), 55-56 (books and journals), 62-64 (schools), 71 ff. (current events poll). Also: Recent Snap Polls from TRIP (and all Snap Polls). Universities: gwu.edu, georgetown.edu, howard.edu, american.edu, catholic.edu, umd.edu,gmu.edu, sais-jhu.edu, others. Events at IMF/World Bank. WorldBank.org, imf.org. Commanding Heights: The Battle for the World Economy. (PBS, 2002). An unparalleled assembly of interviews, summary and analysis of the history of the global economy from World War I through September 11th. Three episodes totaling six hours, it ranges from Lenin to Keynes and Hayek to Milton Friedman and Margaret Thatcher to globalization and China Rising. Effective in toto or using any of the dozens of 3-to-8-minute clips. Web site includes rich background material on 150 people, dozens of countries, extensive glossary, and more. The Death of Yugoslavia. (BBC documentary) This is the complete version, (approximately five hours?) with live video of the war and its refugees, and hours of interviews of Slobodan Milosevic, Ratko Mladic, Richard Holbrooke, and many others. Includes internal Bosnian Muslim leadership discussions, UN and European officials, and much more. Culminates with a candid video record of the negotiations at Dayton. Use with Holbrooke’s To End a War and Laura Silber’s Yugoslavia: Death of a Nation. Norman Angell and Alfred T. Mahan: Technology, globalization, and international security today, Mediterranean Quarterly (2015), pdf. Globalization at risk, the changing preferences of states and societies, Managing Global Transitions: International Research Journal (2008), pdf. 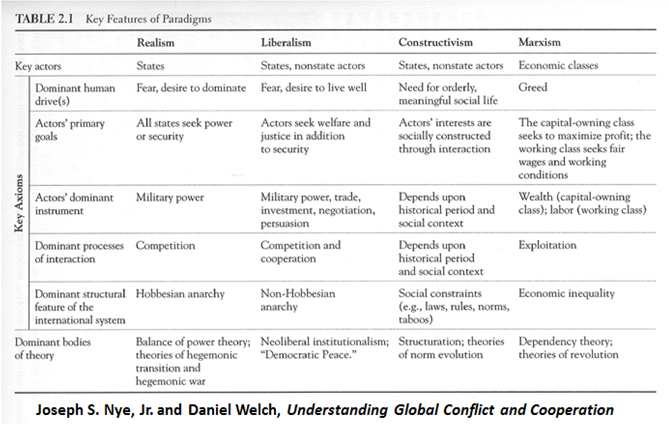 Examining threats of the economic aspects of globalization, International Advances in Economic Research (2007), pdf. Iraqi Kurdistan Religious Freedom Project (2013). See also. Dissertation Abstract: Peace through Integration: Integrating Former Adversaries into a Cooperative Community in Search of Peace and Stability (April 2003). WorldCat. Abstract on ProQuest. Full text pdf (ProQuest login req’d).